Abraham was an Old Testament prophet born about 2000 B.C. He grew up in a family that had turned away from the gospel, but Abraham “sought for the blessings of the fathers, and the right whereunto [he] should be ordained to administer the same” (Abraham 1:2). The blessings he sought were those of the priesthood held by the heads of dispensations who preceded him﻿—Adam, Enoch, and Noah, and their righteous posterity. Abraham received the priesthood from the prophet Melchizedek (see Joseph Smith Translation, Genesis 14:25, in Bible appendix; D&C 84:14). The Lord spoke to Abraham and established a covenant with him. This covenant is known as the Abrahamic covenant. All who accept the gospel and are baptized are the seed of Abraham, either literally or by adoption, and are entitled to the same blessings he was promised through their faithfulness. Because of the Great Apostasy following the ministry of Jesus Christ and His Apostles, the Abrahamic covenant was no longer available to man; it required a Restoration of the gospel through the Prophet Joseph Smith to return the promises associated with the Abrahamic covenant back to the earth. Today the gospel is being spread throughout the world, just as the Lord promised Abraham. And, as explained in this chapter, through family history work the blessings and promises made to Abraham are also made available to inhabitants of the spirit world, many of whom lived during times of apostasy or did not have the opportunity to receive the fulness of the gospel of Jesus Christ while on the earth. In this way, the opportunity for exaltation in Heavenly Father’s kingdom is extended to all of Heavenly Father’s children. Jehovah changed Abram’s name to Abraham, which means “father of many nations” or “father of a multitude” (see Genesis 17:5; Bible Dictionary, “Abraham”). Abraham was privileged to see the Lord several times (see Genesis 12:7; 17:1; Abraham 2:6, 19; 3:11). He rescued Lot (his nephew) from captivity (see Genesis 11:27; 14:14–16); paid tithes to Melchizedek, king of Salem (see Genesis 14:18–20); and obediently submitted to God’s command to sacrifice his son Isaac (see Genesis 22:1–13). Abraham “was greatly blessed with divine revelation concerning the planetary system, the creation of the earth, and the premortal activities of the spirits of mankind. As one of the most valiant spirits in the premortal life, he was chosen to be a leader in the kingdom of God before he was born into this world (Abr. 1–5). We also learn from latter-day revelation that because of Abraham’s faithfulness he is now exalted and sits upon a throne in eternity (D&C 132:29, 37)” (Bible Dictionary, “Abraham”). Abraham received the priesthood from Melchizedek. Abraham desired to become a worthy priesthood holder and to make covenants with the Lord (see Abraham 1:1–4). The Bible Dictionary describes the covenant Abraham entered into with the Lord: “Abraham first received the gospel by baptism (which is the covenant of salvation). Then he had conferred upon him the higher priesthood, and he entered into celestial marriage (which is the covenant of exaltation), gaining assurance thereby that he would have eternal increase. Finally he received a promise that all of these blessings would be offered to all of his mortal posterity (D&C 132:29–50; Abr. 2:6–11)” (“Abraham, Covenant of”). When the Savior visited the descendants of Lehi on the American continent, He told them that they were children of the prophets, members of the house of Israel, and heirs to the promises made to Abraham. They were favored through the blessings of the Atonement as promised to Abraham (see 3 Nephi 20:25–27). 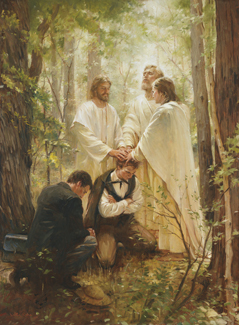 The Lord revealed to the Prophet Joseph Smith that the members of the Church in these latter days are also heirs of Abraham’s promised blessings (see D&C 132:29–32). Lands of inheritance. God gave the land of Canaan (Israel) to Abraham and his posterity (see Genesis 13:14–15; 15:18; 17:8; Abraham 2:6). Elder Bruce R. McConkie (1915–85) of the Quorum of the Twelve Apostles taught about the inheritance of land in the Abrahamic covenant: “It [the land of Canaan] is their land, in time and in eternity. It is their land now whenever they are worthy to tread its blessed surface. And it shall be theirs again in that everlasting eternity that lies ahead. ‘It is decreed that the poor and the meek of the earth shall inherit it,’ in that celestial day when it shall be crowned with the presence of God, even the Father. (D&C 88:17–19. )” (The Millennial Messiah: The Second Coming of the Son of Man , 322). Ultimately, this promise of an everlasting inheritance of land is fulfilled when the righteous shall inherit the earth in its glorified, celestial state (see D&C 45:57–59; 63:20; 88:17–20). 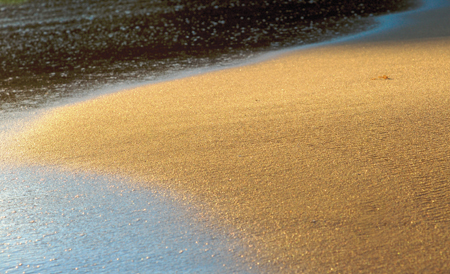 Abraham was promised posterity as numerous “as the sand which is upon the sea shore” (Genesis 22:17). “What, then, is the Abrahamic covenant? It is that Abraham and his seed (including those adopted into his family) shall have all of the blessings of the gospel, of the priesthood, and of eternal life. The gate to eternal life is celestial marriage, which holy order of matrimony enables the family unit to continue in eternity, so that the participating parties may have posterity as numerous as the sands upon the seashore or the stars in heaven. The Abrahamic covenant enables men to create for themselves eternal family units that are patterned after the family of God our Heavenly Father” (A New Witness for the Articles of Faith , 504–5; see also D&C 132:30). Included in the promise of posterity to Abraham is that “kings shall come out of thee” (Genesis 17:6). The most important descendant of Abraham was the King of kings, even Jesus Christ, who came through the royal lineage of Judah (see Matthew 1:1–16; see also Revelation 19:16). Additionally, those who receive the Abrahamic covenant and are faithful to it are promised they may become “kings and priests [or queens and priestesses] unto God” (Revelation 1:6; see also D&C 76:56). Priesthood and gospel blessings. The Lord promised Abraham that he would receive the Lord’s name, “even the Priesthood” (Abraham 1:18; see also Abraham 2:11). This blessing was fulfilled in Abraham’s life when he received the priesthood under the hands of Melchizedek (see Joseph Smith Translation, Genesis 14:25, 37, in Bible appendix; D&C 84:14; Abraham 1:2–4). Because Abraham also received the promise that his posterity would have the right to the priesthood from his day until the end of the world, all who desire the blessings of the saving priesthood ordinances receive them at the hand of Abraham and his descendants. This blessing is fulfilled when those who bear the same priesthood that Abraham held administer ordinances, such as baptism, the sacrament, and temple ordinances. The Abrahamic covenant enables families to continue throughout eternity. Salvation and eternal life. The Lord promised Abraham that through his descendants “shall all the families of the earth be blessed, even with the blessings of the Gospel, which are the blessings of salvation, even of life eternal” (Abraham 2:11). Families are specifically blessed through the Abrahamic covenant because the crowning blessing of the gospel covenant is eternal marriage. Through priesthood ordinances, which include celestial marriage, or temple marriage, for the living and the dead, families can be eternally bound together. The posterity of Abraham today may also perform ordinances in the temples for their deceased ancestors and others. Ultimately, the greatest way families of the earth are blessed is through the Atonement of Jesus Christ, a descendant of Abraham. 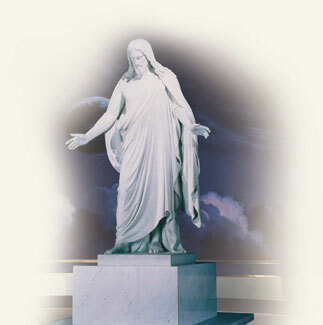 Because of His Atonement, it is possible to receive all the blessings of eternal life. “… And thou shalt be a blessing unto thy seed after thee, that in their hands they shall bear this ministry and Priesthood unto all nations” (Abraham 1:19; 2:9). Abraham and his posterity offer the blessings of the gospel and of salvation to all the families of the earth (see Abraham 2:11). The Lord affirmed that Abraham “obeyed my voice, and kept my charge, my commandments, my statutes, and my laws” (Genesis 26:5) and has “entered into his exaltation and sitteth upon his throne” (D&C 132:29). Peter, James, and John restored the Melchizedek Priesthood to the earth, preparing the way for the blessings of the Abrahamic covenant to once more be received. The blessings of the Abrahamic covenant, which are administered by the priesthood of God, were lost from the earth because of apostasy; consequently, a restoration was required to once again offer these blessings to mankind. The Bible Dictionary states: “To fulfill the covenant God made with Abraham﻿—having particular reference to the fact that the literal seed of his body would be entitled to all of the blessings of the gospel (Abr. 2:10–11)﻿—a number of specific and particular things must take place in the last days. The gospel must be restored, the priesthood must be conferred again upon man, the keys of the sealing power must be given again to mortals, Israel must be gathered, and the Holy Ghost must be poured out upon the gentiles. All this has already taken place or is in process of fulfillment” (“Abraham, Covenant of”). “I quote from a prophecy given nearly 600 years B.C. : ‘Our father hath not spoken of our seed alone, but also of all the house of Israel, pointing to the covenant which should be fulfilled in the latter days; which covenant the Lord made to our father Abraham’ [1 Nephi 15:18; italics added]. “Precisely as promised, the Master appeared in these latter days to renew the Abrahamic covenant. To the Prophet Joseph Smith the Lord declared: ‘Abraham received promises concerning his seed, and of the fruit of his loins﻿—from whose loins ye are, … my servant Joseph. … This promise is yours also, because ye are of Abraham’ [D&C 132:30–31; see also D&C 124:58]” (in Conference Report, Apr. 1995, 42; or Ensign, May 1995, 33). 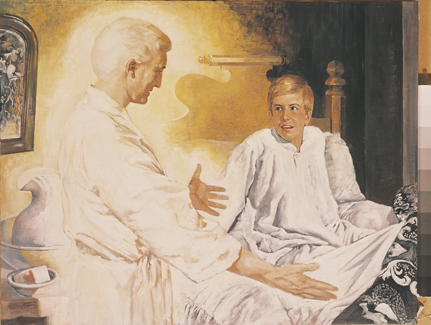 When the angel Moroni appeared to the Prophet Joseph Smith on September 21, 1823, Moroni referred to the “[planting] in the hearts of the children the promises made to the fathers” (D&C 2:2; Joseph Smith—History 1:39). The phrase “promises made to the fathers” includes the blessings and promises made to Abraham, which were later renewed to Isaac and Jacob (see Genesis 26:24; 28:10–15). President Joseph Fielding Smith (1876–1972) taught, “The fathers are our dead ancestors who died without receiving the gospel, but who received the promise that the time would come when that privilege would be granted them” (Doctrines of Salvation, comp. Bruce R. McConkie, 3 vols. [1954–56], 2:127). “We are also children of the covenant. We have received, as did they of old, the holy priesthood and the everlasting gospel. Abraham, Isaac, and Jacob are our ancestors. We are of Israel. We have the right to receive the gospel, blessings of the priesthood, and eternal life. Nations of the earth will be blessed by our efforts and by the labors of our posterity. The literal seed of Abraham and those who are gathered into his family by adoption receive these promised blessings﻿—predicated upon acceptance of the Lord and obedience to his commandments. “‘For behold, the Lord will remember his covenant which he hath made unto his people of the house of Israel’ [3 Nephi 29:1, 3]” (in Conference Report, Apr. 1995, 42–43; or Ensign, May 1995, 33). Moroni quoted the words of Malachi to Joseph Smith Jr. concerning Elijah (see Joseph Smith—History 1:38). “Brothers and sisters, you may also claim the supernal blessings promised to the faithful lineage of Abraham. The Lord explained that blessings and responsibilities of His priesthood are yours because of your faith, works, and lineage﻿—the lineage declared in your patriarchal blessings. You ‘are lawful heirs,’ He said. ‘Your life and the priesthood have remained, and must needs remain through you and your lineage’ (D&C 86:9–10). “The ultimate blessings of the Abrahamic covenant are conferred in holy temples. These blessings allow us to come forth in the First Resurrection and inherit thrones, kingdoms, powers, principalities, and dominions, to our ‘exaltation and glory in all things’ (D&C 132:19). The fulfillment of the ancient Abrahamic covenant is feasible only because of the Lord Jesus Christ. It is He who has made it possible for us to dwell with God, with Him, and with our families eternally” (in “Special Witnesses of Christ,” Ensign, Apr. 2001, 7). Those who are faithful to their baptismal covenant may receive the blessings of the Abrahamic covenant. Patriarchal blessings identify Church members’ lineage to Abraham through one of the twelve tribes of Israel. In addition to those who are literal blood-lineage descendants, Abraham’s descendants are all those who make the same gospel covenants as Abraham, Isaac, and Jacob. When those who may not be literal descendants of Abraham are converted to the gospel of Jesus Christ and are baptized, they are adopted into the family of Abraham. Because of their conversion, they may receive all the blessings promised to Abraham and his descendants (see Galatians 3:26–29; 4:5–7). The oath and covenant of the Melchizedek Priesthood teaches that those who are faithful and receive the priesthood “become the sons of Moses and of Aaron and the seed of Abraham” (D&C 84:34). President James E. Faust (1920–2007) of the First Presidency taught: “Any man or woman can claim the blessings of Abraham. 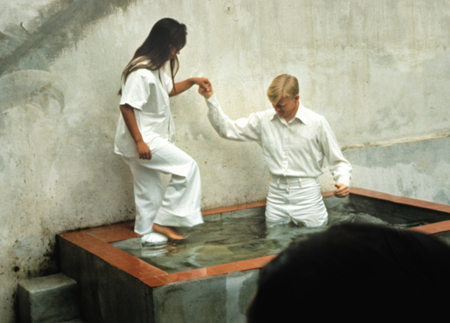 They become his seed and heirs to the promised blessings by accepting the gospel, being baptized, entering into temple marriage, being faithful in keeping their covenants, and helping to carry the gospel to all the nations of the earth” (in Conference Report, Oct. 2004, 57; or Ensign, Nov. 2004, 54). President James E. Faust taught about our responsibility to do the works of Abraham: “As the seed of Abraham, we have some obligations. We are commanded to come to Christ by doing ‘the works of Abraham’ [John 8:39; see also John 8:32–50]. These works include obeying God, receiving and keeping priesthood and temple ordinances and covenants, preaching the gospel, building a family unit and teaching our children, and being faithful to the end” (in Conference Report, Oct. 2004, 57; or Ensign, Nov. 2004, 55). “Truly, great responsibility rests upon the seed of Abraham in these latter days. “… We have been given much, and much is required of us. … May all of us rise up … and bless the nations of the earth with greater testimony and spiritual power than we ever have before” (in Conference Report, Oct. 2005, 49–50; or Ensign, Nov. 2005, 47). The invitation is extended to all of God’s children “to come unto [Christ] and partake of his goodness; and he denieth none that come unto him, black and white, bond and free, male and female; and he remembereth the heathen; and all are alike unto God, both Jew and Gentile” (2 Nephi 26:33; see also Alma 5:33; 3 Nephi 9:13–14). Elder Russell M. Nelson taught: “Mercifully, the invitation to ‘come unto Christ’ [Jacob 1:7; Omni 1:26; Moroni 10:30, 32; D&C 20:59] can also be extended to those who died without a knowledge of the gospel [see D&C 137:6–8]. Part of their preparation requires earthly efforts of others. We gather pedigree charts, create family group sheets, and do temple work vicariously to gather individuals unto the Lord and into their families [see 1 Corinthians 15:29; 1 Peter 4:6]” (in Conference Report, Oct. 2006, 85; or Ensign, Nov. 2006, 80–81). We help extend the blessings of the Abrahamic covenant to those in the spirit world by offering them the sealing ordinances that bind them together and link them to the faithful Saints of all ages. In this fashion all are given the opportunity to receive eternal families and exaltation in God’s kingdom. Elder Bruce R. McConkie noted that our receiving the blessings of the Abrahamic covenant inspires us to extend those blessings to our ancestors: “The promises [made to the fathers] are the provisions of the Abrahamic covenant whereby the seed of the ancient patriarchs are entitled to receive the priesthood, the gospel, and eternal life (including celestial marriage). We are the children, and after we receive these blessings for ourselves, our attention turns almost by instinct to the well-being of our ancestors who died without a knowledge of the gospel. We are Abraham’s seed, and they were Abraham’s seed﻿—through Isaac, through Jacob, and through the house of Israel. 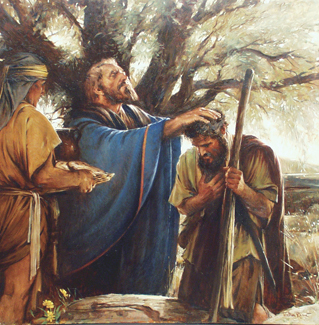 It thus becomes our privilege, on the basis of salvation for the dead, to search out our ancestors﻿—to whom the same blessings have been promised as have come to us﻿—and to make these blessings available to them through the vicarious ordinances of the house of the Lord” (A New Witness for the Articles of Faith, 508–9). From what you’ve learned about Abraham, how did he qualify to be chosen by the Lord to be “the father of the faithful”? (D&C 138:41). How do your efforts in family history help extend the blessings of the Abrahamic covenant to individuals in the spirit world? Explain to another person how the blessings of the Abrahamic covenant are available to all people﻿—include Galatians 3:26–29 in your explanation. Prepare an outline for a lesson on how family history work contributes to the fulfillment of the Abrahamic covenant. Give the presentation in a family home evening or other appropriate gathering. 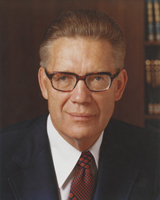 Bruce R. McConkie, A New Witness for the Articles of Faith (1985), 503–9. 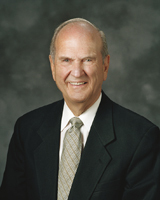 Russell M. Nelson, “Children of the Covenant,” Ensign, May 1995, 32–35. The Pearl of Great Price Student Manual (Church Educational System manual, 2000), 93–98. 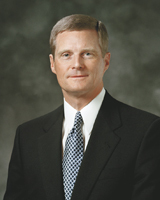 David A. Bednar, “Becoming a Missionary,” Ensign, Nov. 2005, 44–47. Russell M. Nelson, “The Gathering of Scattered Israel,” Ensign, Nov. 2006, 79–82.